The Giants are adding a veteran catcher to increase competition behind Buster Posey. The club has come to a minor-league agreement with 10-year veteran Rene Rivera, according to Jon Heyman of MLB Network. Rivera, 35, has appeared in games with four teams over the last two years, splitting time between the Mets, Cubs, Angels, and Braves. Rivera has spent most of his career as a backup, aside from back-to-back seasons in 2014 and 2015 with the Padres and Rays respectively. Rivera has a career slash line of .220/.271/.353. Aramis Garcia is currently the only other catcher on the Giants’ 40-man roster aside from Posey. 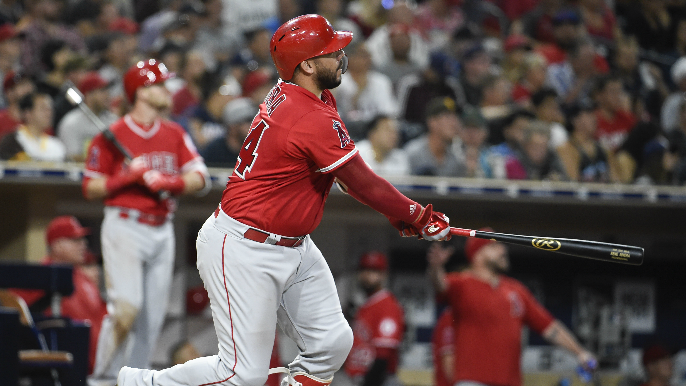 He’s expected to begin the season as the backup, after an impressive late-season stint last year where he posted an OPS of .800 with four home runs in 65 plate appearances. Former Phillies catcher Cameron Rupp is also in the mix after being signed by the Giants in January. Rupp has played in over 80 games each of the past three seasons for Philadelphia, hitting 39 home runs with an OPS of .718 during that time.